THE IRISH CONGRESS of Trade Unions (ICTU) has decided against advising members on how to vote on the upcoming fiscal treaty. The executive council of the ICTU met today to discuss their stance on the May referendum, after three Irish trade unions came out against it. Yesterday, one of the largest unions in the country – the Technical Engineering and Electrical Union (TEEU) – said it was advising members to vote No in the referendum, joining UNITE and Mandate who earlier said they would be urging members to vote against the treaty on 31 May. 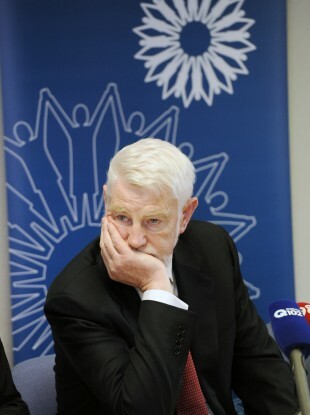 This evening, Congress Secretary David Begg said that although nobody had been in support of the treaty, the ICTU would not be advising members due to the fear that a rejection could mean exclusion from the European Stability Mechanism (ESM). Ireland’s exclusion from the ESM could mean the country would not have access to funding if the country needed a second bailout, Begg said on this evening’s RTÉ Six One News. The ICUT said that it would create a “synthesis paper” regarding the issues raised about the treaty and pass that around the counrty’s trade unions. Email “ICTU will not advise members on how to vote in fiscal treaty”. Feedback on “ICTU will not advise members on how to vote in fiscal treaty”.